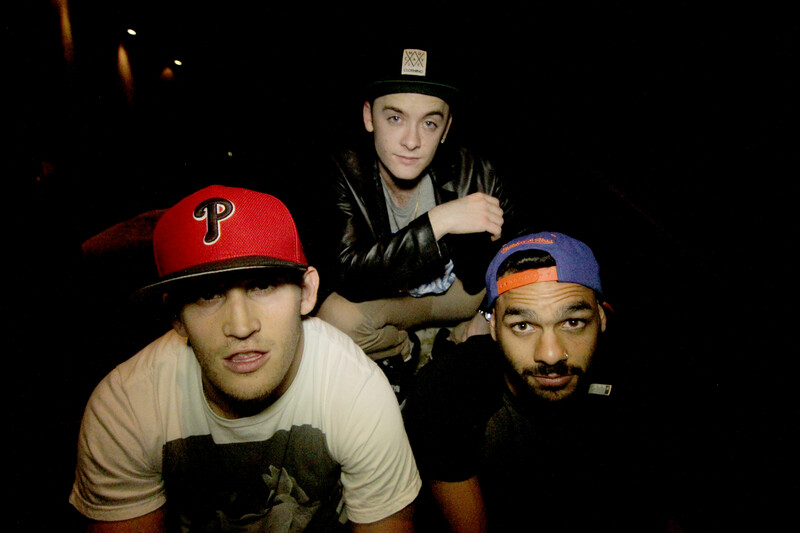 Meet Decypher Us – a hip hop trio from Sydney dropping beats and spitting rhymes since 2012. Their debut album, Uncracked, dropped in April this year, so I caught up with two of the guys to find out more about this exciting debut. For starters, please introduce yourselves! Names and day jobs? 2FACE: My name’s Ben Goldberg – I perform solo as 2Face and collective Hip-hop with Decypher Us. By day I work as an Online Campaign Manager for an advertisement sales company in Sydney. By night, I transform into Mr Hyde and lock myself in the studio to slave over Ableton Live and Final Cut Pro. LITTLE HUNTA: My Name is Sam Hunter, I’m a full time Barista and have been for the last 4 years. How long have each of you been performing, and where did your MC names originate? 2FACE: I used to write lyrics just to get things off my chest and freestyle at parties when I was drunk but I didn’t perform live until 2006. It was at a club in Manly with a couple Electro-House DJ’s who called themselves ‘Asian Gurn’. When the group disbanded, I didn’t really have an outlet for my music or anyone to work with. So I taught myself to DJ and started performing gigs as the DJ and the MC. That’s where the name ‘2Face’ came from – it was my two different faces working together. LITTLE HUNTA: My first time on stage was back in 2007 with my first crew (The Devoted Poets). I haven’t looked back since. Little Hunta used to be my nickname when I was younger as my Dad’s name was Hunta or Big Al. So being the youngest in my immediate family and always seen as the underdog – it was the perfect MC name for me. LITTLE HUNTA: I have a lot of roots/reggae influences and have always loved all types of music (Bob Marley and the Wailers, The Roots, Fat Freddy’s Drop). My Hip Hop influences are Black Thought, Big L, Common, Talib Kweli, and Proof. You’ve got a lot of guests and producers collaborating on this album – how did those come about? 2FACE: We actually met a lot of the guys in our extended Hip-hop group at one show. It was in St. Mary’s NSW and it was possibly the shittiest show we’ve performed at. It was in the middle of nowhere and there was no crowd whatsoever. But all the other acts performing on the night ended up being from the same area as us and they were all really good. We’ve been working closely with them ever since. Shout out to Nonne MC, Jason Matts, Chaotic Methodz, Stephen Arhipoff and Baskiat. And the newest Decypher Us recruit – 316. The producers on this album were Hunta’s connections – he can tell you a bit more about them. LITTLE HUNTA: The main producer (L.Beatz) used to be my solo producer when I lived in Zurich, Switzerland. It was only natural that I went to him for beats as well as ROB of The Devoted Poets. The rest were producers we reached out to through SoundCloud and they were keen to support the cause and contribute to our project. How long did you spend working on the album? 2FACE: The album’s been in the works for a while. You always have a vision in your mind that your album will come out in like 3 months. The truth is – it seemed to take forever! We recorded all the drafts from our home studios. And then we went into REC Studios and got it professionally recorded. And then I took everything home and mixed it. And then we had to send it off for mastering. And then we had to coordinate all the artwork. And then we had to coordinate all the printing. And then we had to coordinate all the album launches. This is a lot of work when you’re working full time and performing regular gigs. Rome wasn’t built in a day but it’s good to see we got there in the end! You made it to number one on the Unearthed hip hop charts pretty early on, so what’s your goal now for your releases? 2FACE: Our goal is to continue releasing quality music that is true to us. With this album out, I’m going to shift my focus to my solo album (which is nearly finished) and also the next Decypher Us album. I want to increase the amount of videos we’re putting out and I want to step things up with the gigs. We’re performing a lot now as it is but it’s never enough! What’s the best advice you’ve received in terms of your music career, and who did it come from? 2FACE: Good question. I think the best advice I’ve been given would be from Malek (C.E.O. of Hustle Hard TV). He told us we need to consistently put out videos to maximise our exposure and I’ve learnt through time that he was right. Lots of people are visual people and I find videos are MUCH more effective than just throwing up a song link. The interaction rate is incomparable. Malek has always backed what we do and has a genuine appreciation for the Hip-hop scene. We owe him a lot! Any dream collaborations you’d like to work on? 2FACE: If Pac’s still alive, I’d like to work with him. Nah, I’d love to do a song with Pharoahe Monch or Chino XL – their wordplay and the way they structure sentences is amazing. LITTLE HUNTA: My Dream Collaboration would have to be with KRS ONE because I love what he stands for. I’d love to just chill with him and try and prove myself to be near his calibre! What lyric/s best describe each of you? I kind of summed my whole life up in the most basic terms possible. My lungs collapsed at birth and I almost died and after that – I got lead astray. By everything. I’m not as pessimistic as I may seem but I think everyone gets lead astray by the rules around us and the expectations of society. I wrote this a few months back and it’s stood out in my mind ever since. What I’m trying to say is I have the ability to potentially help the world and spread a positive message to the listeners (even when I am dead and gone). Any plans to tour? What does the next 6-12 months hold for you guys? 2FACE: Right now we’re just taking on as many gigs as we can. The album launches were a big success and Brklyn has asked me to start running a monthly Hip-hop event in Manly. It’s called CYPHER @ BRKLYN and will be a monthly showcase featuring some of the best underground MC’s and DJ’s starting in May. Aside from that – our new Hustle Hard TV music video is about to drop and we’re performing at One Mic at The Roller Den (Erskineville) on the 30th of May. We’re also hosting a remix competition for aspiring artists and I’m working on a track to raise money for Suicide Prevention Australia. We just need to make as many appearances as possible – when we’re not gigging, we’re shooting music videos, doing interviews or working on music. Keeping ourselves as busy as possible and working hard to put out quality music. We’re also working on a few other things with the One Mic/Fight Music team that we can’t really specify at this point. Stay tuned! You’re still indie – any deals or labels in your sights? You can find out more and follow the band on Facebook and Soundcloud. For your chance to win one of three copies of Uncracked, ‘like’ Girl at a Rock Show on Facebook and share the link to this story!